There are hundreds of thousands of “apps” for the iPhone. Many of them are useful to drivers and motorcycle riders. Many are just for fun. Many seem altogether useless. 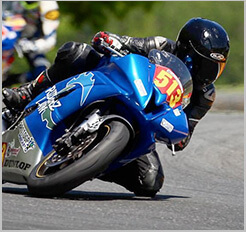 The “Gas Cubby App” is a tool that allows you to track fuel mileage and maintenance on your car or motorcycle. “Parking App” tells you where you parked. “iShots” gives recipes for alcoholic shots. A few apps out there combined those concepts: “Tipsy,” and “Fuzz Alert Pro” are two such tools. These apps were designed to alert users as to the location of DUI checkpoints. Combine free speech and modern technology, and this is what we get. Not so fast, says Apple. Recently, the company has banned DUI checkpoint apps. Below is an excerpt from the letter sent to Apple from several US Senators, urging the ban. A similar letter was sent regarding the Droid and Blackberry smart phones. We write today with grave concern regarding the ease with which downloadable applications for the iPhone, iPad, and other Apple products allow customers to identify where local police officers have set up DUI checkpoints. With more than 10,000 Americans dying in drunk-driving crashes every year, providing access to iPhone and iPad applications that alert users to DUI checkpoints is harmful to public safety. Police officers from across the country have voiced concern about these products, with one police captain saying, “If people are going to use those, what other purpose are they going to use them for except to drink and drive?” With a person dying every 50 minutes in a drunk-driving crash, this technology should not be promoted to your customers–in fact, it shouldn’t even be available. We hope that you will give our request to remove these applications from your store immediate consideration. We’re not so sure what to think about all this. One one hand, the free exchange of information is a good thing. And who wouldn’t want to avoid be hassled by cops, if given the choice — especially given the history of law enforcement’s unfair treatment of bikers. On the other hand, drinking and driving is a big problem in the US — one that costs thousands of lives every year. 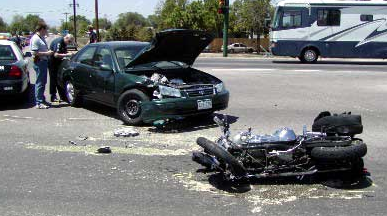 As motorcycle accident attorneys, we see far too many tragedies caused by drunk drivers. And no one should ever ride a motorcycle while under the influence of alcohol. As always, stay alert, and never drink and ride.